What REAL VALUE is supporting the international financial system? We take a close look, and it’s not pretty. Here’s the lesson we could all learn from Warren Buffett’s father. 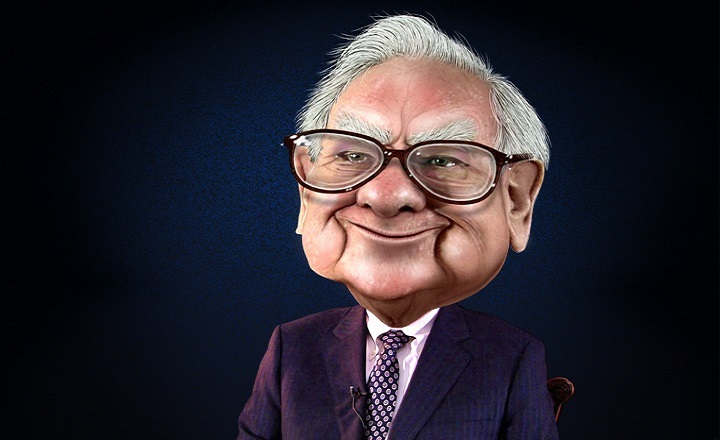 Warren Buffett’s distaste for gold is well known and promoted in the mainstream media. One thing that’s not well known or promoted is that Buffet’s father, Howard Buffett, a four-term Republican Congressman, believed in the role of gold as money and was a huge advocate for the gold standard. In fact, Howard Buffett gave a speech in 1948 to Congress titled, “Human Freedom Rests on Gold Redeemable Money”. The elder Buffett believed in the gold standard, as he knew that it would limit the ability of government to inflate the money supply and spend beyond its means. The junior Buffett clearly has not followed in his father’s footsteps and chooses to conveniently ignore the quadrillion-dollar quagmire that is overshadowing our financial system. Yes, you read that right: A quadrillion-dollar quagmire. When we start discussing numbers in the trillions and quadrillions, it can be difficult for us to wrap our minds around such figures. 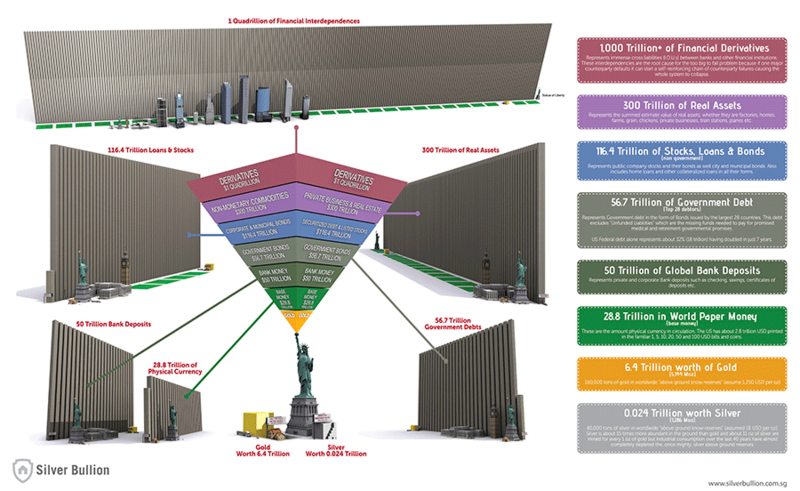 Thankfully, a new infographic puts our global economic dilemma into perspective. View the larger version here. In other words, the financial system – again, with over 1,000 trillion dollars in derivatives – is based almost entirely on fictitious value. This is a global dilemma, but the U.S. banking system shares in the blame. According to the latest report from the Office of the Comptroller, the top five “too big to fail” U.S. banks have over $40 trillion in derivatives exposure… EACH!! To think Goldman Sachs is leveraged at 70:1, meaning for every 70 derivatives contracts they have, there is only one asset to back it. How is this even legal? Our economic system has been turned into one big casino; no wonder Warren Buffett’s father wanted to contain this madness by using a gold standard. Of course, it isn’t just U.S. banks that are leveraged to the tilt; we’re seeing it from institutions across the globe. Needless to say it won’t take much of a downturn or a few derivative losses to send the global economy into a tailspin and to trigger the great liquidity pyramid to sell off. So when the current quadrillion-dollar paper money system collapses what will you be holding: paper assets or physical gold? Read some of the top reviews on Birch Gold Group at www.BirchGoldReviews.com.